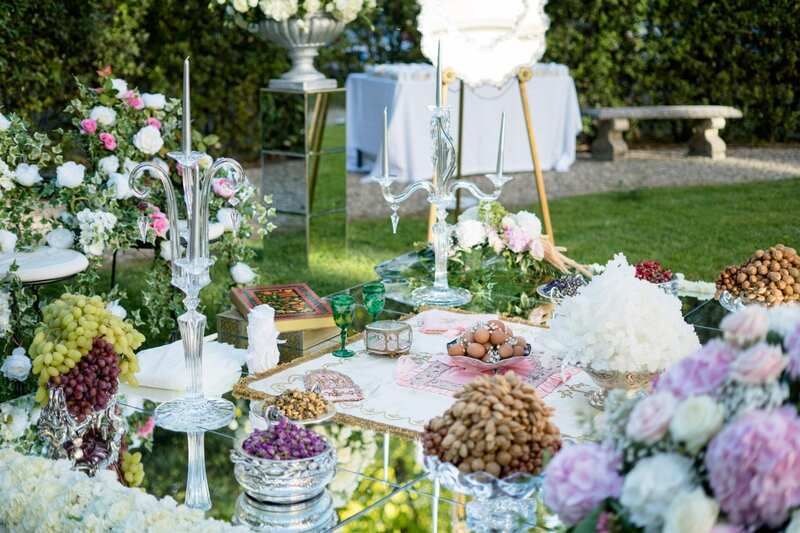 You don’t often have the chance to attend a Persian wedding in Florence, that's why we were so excited when the groom’s mother contacted us to start working on his son wedding! 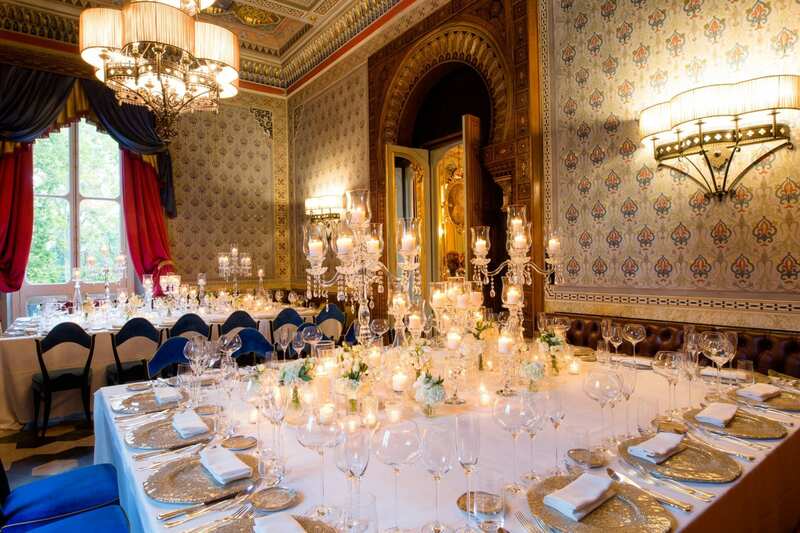 The families were looking for a lavish venue, large enough to accommodate 200 people and so polished to host the events both in the interior rooms and in the gardens. The couple wished to get married in Florence because they were linked to the city by affettive reasons, but also by business. 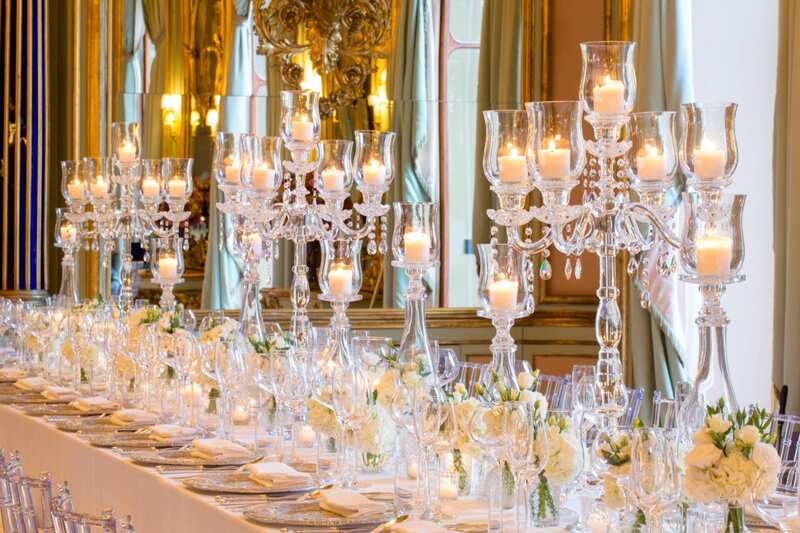 They immediately fell in love with the Villa Cora Mirror Room. 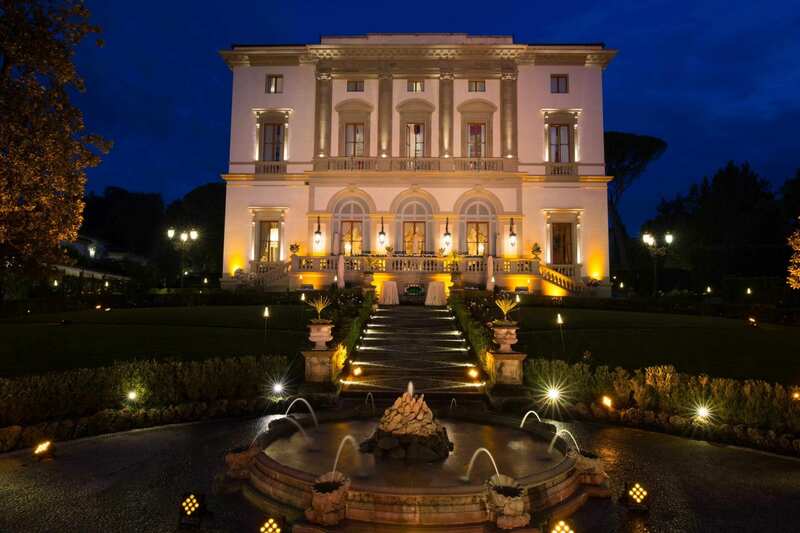 This luxury hotel is an aristocratic neoclassic villa built in the nineteenth century in a park overlooking the famous Boboli Gardens. They liked it so much that decided for an exclusive use for three days, indeed. The wedding started with a welcome cocktail by the pool: dancers performed and then led the guests to the Sphinxes Garden for the Muslim ceremony Nikah. The Sofreh-ye Aghd was set up following the Persian rites. This banquet consisted in a low and richly laid table with a mirror - symbol of a brightness future - two candelabra to instil energy, a tray full of spices to drive away the evil eye, gold coins to wish prosperity, food as a symbol of fertility (decorated eggs, dried and fresh fruit, sweets, bread, etc. 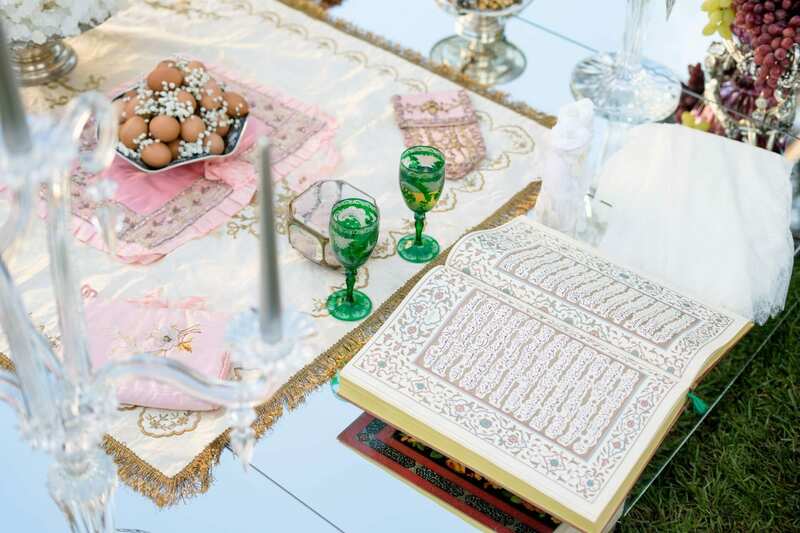 ), rose water, the Termeh embroidered in gold passed down from generation to generation and, of course, the Koran. According to tradition, women with a happy marriage held the veil over newlyweds’ heads and crumbled sugar on it to wish the couple happiness. After this suggestive ceremony, the guests return to the pool area for dances and the informal celebration dinner. The next day's event was opened by an enchanting tango show during the cocktail by the pool. 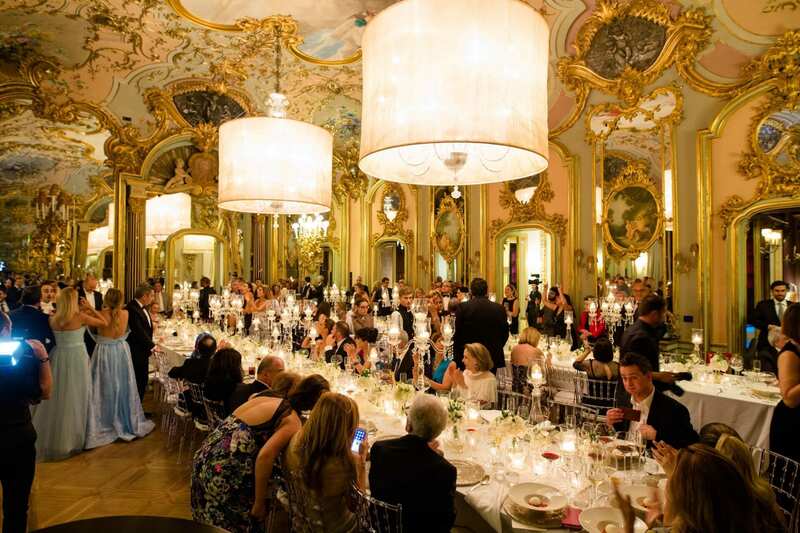 The elegant gala dinner, generous of courses and flavors, took place along all the Villa Cora halls, Mirror Room included. Since the rooms are already majestic, the decorations had to be sober but at the same time sparkling: we proposed white colour and crystal. 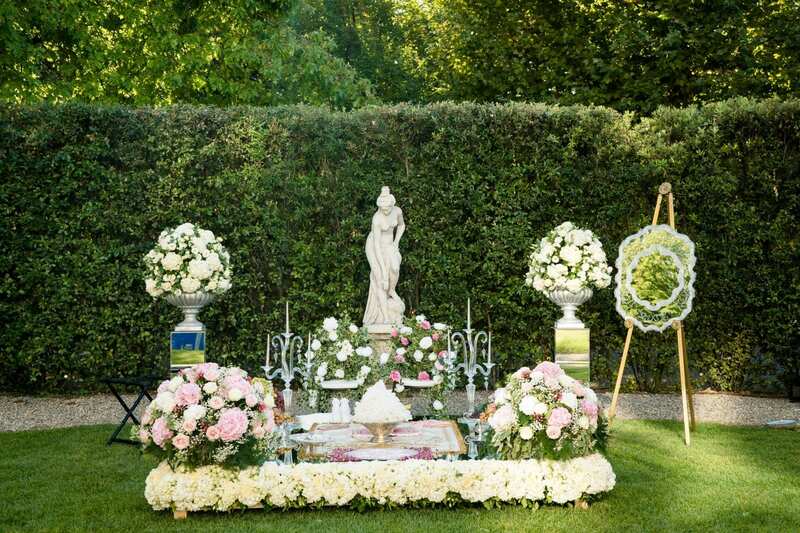 A different centrepiece decorated each table. 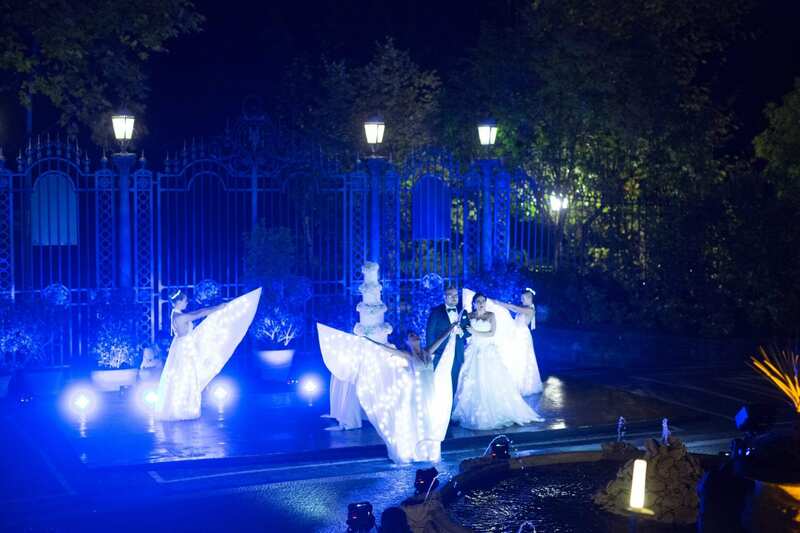 The butterfly dancers performance anticipated the cutting of the cake, set up in the area in front of the villa. The party continued in the Pacha - the villa bar - with music and dancing until 3am. It was a wonderful experience and a truly unforgettable wedding for us!